I LOVE Burlap. There are just so many things it can be used for. It’s rustic and yet beautiful. For a while now I have been planning on making a wreath with it and a few months ago I went to Joanne’s craft store and they were running it on sale by the yard. So with a coupon I bought 2 1/2 yards for about $7. That night I sat down to make a wreath but everything I found on Pinterest involved using the burlap rolls. (They are $6 a piece) I decided to do more research and finally found one that works for burlap by the yard. Lay your burlap out flat. You can either trace out every circle then cut or hold the template and cut around it. (That’s what I did) I recommend cutting at least 2 yards before hand. That way if you need more you can cut it and won’t waste any if you don’t need it. Plug in your glue gun and put the wreath down flat in front of you. Once your glue is warm take your circles and fold in half and then again. Place glue at the bottom of circle and attach. (So that the loose ends of the circle are sticking out) From then on just work your way around the wreath. They do not have to be right beside each other. You can do 1/4″ or 1/2″ between. 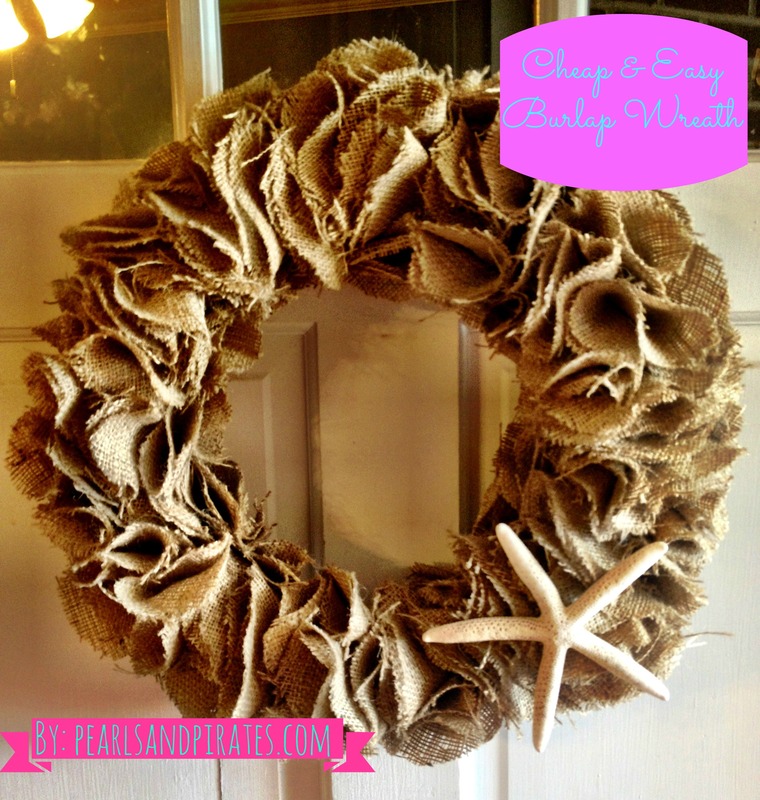 If you need to go back in fill in you can or you can wrap the wreath in burlap before you place circles. I did not do that but I might next time. Note: You will need more burlap for that. The fun part is you can add whatever you want. Fabric flowers, a brooch, starfish etc. I plan to make more burlap crafts using the same method. Stay tuned!